Finally, an InDesign grammar checker! 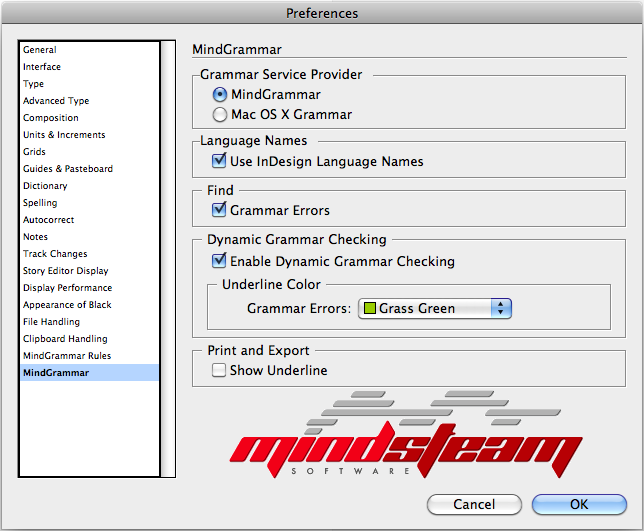 MindGrammar 2.2 is a fully integrated grammar checker for Adobe InDesign and Adobe InCopy. Currently it is available for InDesign and InCopy CS3-CC 2019. It provides simple yet powerful grammar checking support for the English language. Improve your writing and eliminate grammatical errors when editing your InDesign documents. The MindGrammar dynamic grammar checker underlines grammar errors as you type in your text view (layout or story editor), and the context menu describes the grammar error and offers suggestions. 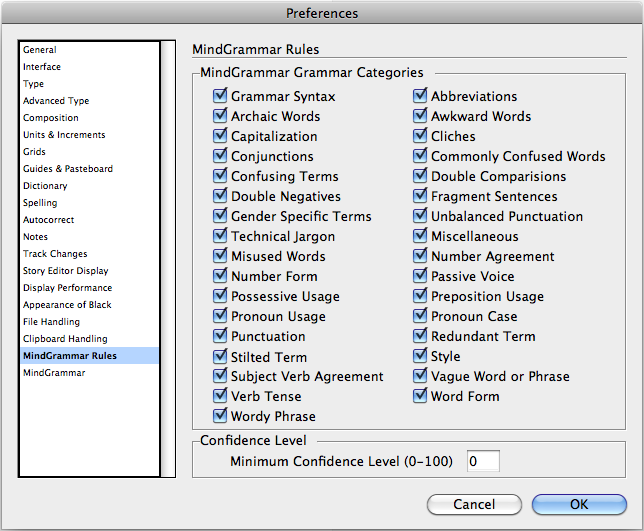 The MindGrammar Rules panel lets you choose which grammar rule categories are underlined in your document. You can also set the minimumn confidence level required in order to display an error in your document. The MindGrammar error info dialog shows the error category (over 30 categories are checked), a description of the error, and the confidence level of the error.